When Peter Paul Rubens came back to Antwerp—where he would go on to establish one of the most prolific artistic workshops of all time—in 1608, after eight years in Italy, he brought back the knowledge and influence of antique works and painters like Caravaggio. The Fine Arts Museums of San Francisco (FAMSF) and the Art Gallery of Ontario (AGO) have teamed up to mount Early Rubens, which opened last weekend at FAMSF’s Legion of Honor (until 8 September; it travels to Toronto in October). It is the first exhibition to look at Rubens’s formative post-Italy years from 1609-21, corresponding to the Twelve Years’ Truce, a halt to decades of hostilities between the Habsburgs and the Dutch Republic. The port city, then part of the Spanish Netherlands, had been shattered by war and religious conflict, including the Iconoclastic Furies that destroyed art in churches—making the time ripe for new commissions by the Catholic Church, which was re-affirming its power. The show, co-organised by Kirk Nickel of FAMSF and Sasha Suda of the AGO, includes around 30 paintings and 20 works on paper from the two museums and lenders in Europe and the Americas. The show includes works the artist made during his time in Italy, such as this self-portrait, in which he self-assuredly looks out at the viewer from a group at the court of Mantua, where he made pieces for the duke Vincenzo Gonzaga. This dynamic work—alchemy between what Rubens’s absorbed during his time in Italy, and the finesse, directness and colours of Northern and Flemish work, Suda says—was made in 1610, shortly after Rubens returned to Antwerp. The curator points to the evocative angle of the devastated mother in the foreground: head hung all the way down, with the outline of her nose shown between the curtain of her hair which she grips in one hand. The slain baby that she holds in the other is already turning blue; scientifically inaccurate, it instead heightens the drama of the scene. The work has been in the AGO’s collection since 2008, donated by the local philanthropist and collector Ken Thomson, who bought it in 2002 at Sotheby’s in London with the gift in mind. It set the auction record in sterling for a painting at the time at £49.5m. The painting was recently shown at the Rubenshuis museum in Antwerp, the artist’s home and studio, for the first time since it was sold around 400 years ago. This cutout of a giant angel (over 200cm high) looks downright strange hanging on the gallery wall among rectangular-format paintings, and had visitors puzzled: was this cut from a composition by Rubens at a later date? But it is quite the opposite story. Looking back at art from the time, we impose rules that did not exist, Suda says. 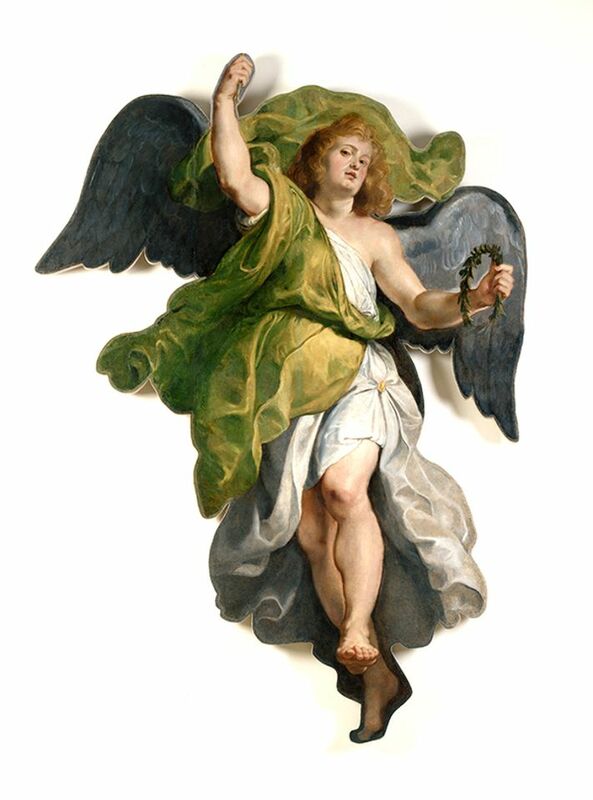 The angel is in fact now in its original shape, made as part of a large and complex altarpiece arrangement for the Church of Saint Walburga in Antwerp, commissioned by Rubens’s friend and patron Cornelis van der Geest. In the 18th century, the celestial being was transferred to a canvas with a background of clouds. According to Corrinne Chong’s catalogue essay, the angel’s initial silhouette was revealed by conservation work in Oberlin, Ohio. Rubens called this large-format painting the “flower of my stock” of works in his studio, in a letter in 1618. Children who visit the National Gallery of Art in Washington, which has lent the work, apparently agree with the artist—according to the museum, it is the general favourite among school groups. “Who knew that Rubens was so popular with the under-14 crowd?” Suda asks. Nickel says that the artist sometimes made large-format paintings without a commission, hoping for a future buyer. Rubens made portraits in addition to his religious and allegorical subjects, and FAMSF own this pair of stern, formal depictions of the wealthy silk merchant couple Rogier Clarisse and Sara Breyel. Nickel points to differences between his formal portrait commissions and more lighthearted depictions of family, such as a portrait of his brother Philippe, made around 1610-11, that has a looser, more dynamic background, also in the show. 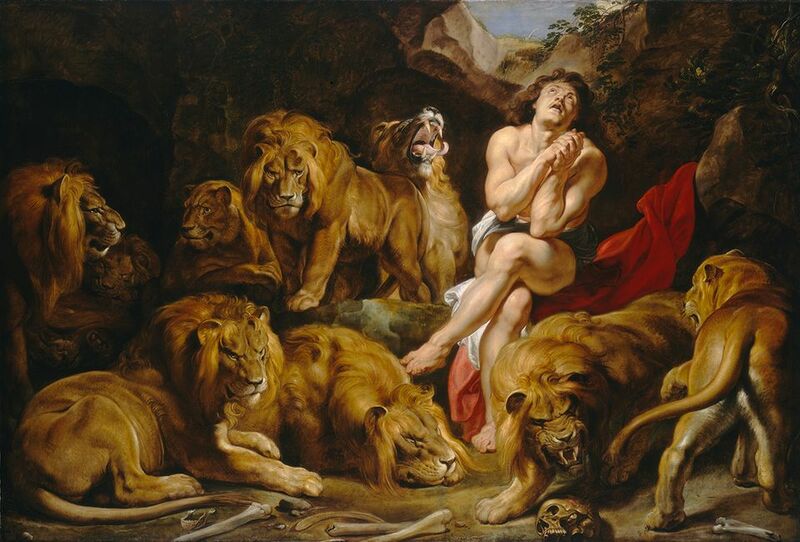 Though Clarisse and Breyel were Catholic, Rubens had Calvinist patrons as well. How was he able to work both for the Catholic church, and Protestants? “He was charming,” Nickel says of the artist, who also served as a diplomat and was knighted by both Philip IV of Spain and Charles I of England. 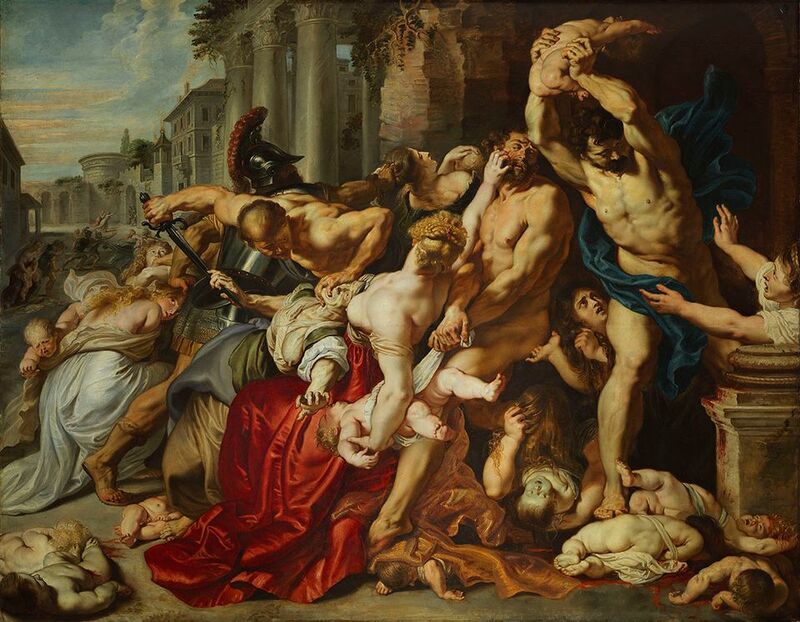 (Perhaps Rubens’s own background contributed to his sense of diplomacy: his father, who died when he was around ten years old, was, in fact, Calvinist, but the artist was raised Catholic.) Such portraits also demonstrate how Rubens, developing his diplomatic skills, shrewdly developed relationships with the city’s merchants, humanists and religious thinkers after his return to Antwerp. 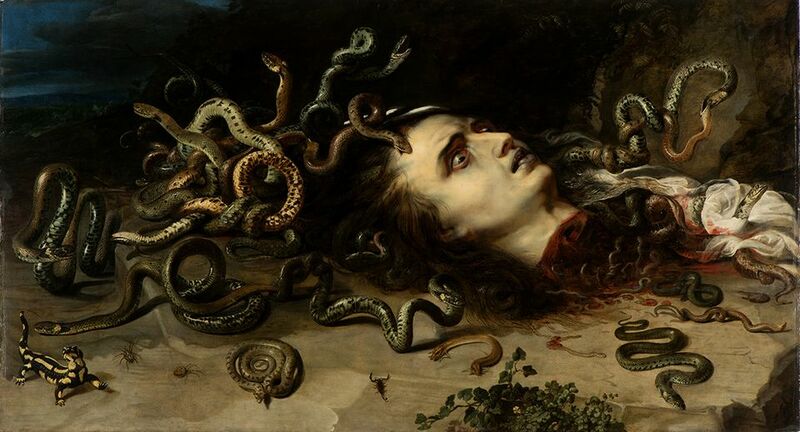 There are two versions of this deliciously gory and frightening composition of the story in Ovid’s Metamorphoses: this smaller oil on oak panel painting, on loan from the Moravian Gallery in Brno, Czech Republic, and a slightly larger oil on canvas in the collection of the Kunsthistorisches Museum in Vienna, which was not lent for the show. The two paintings were displayed together for the first time at the Kunsthistorisches Museum from November to March, and technical analysis affirmed that the smaller panel painting is actually the first version, Suda says, because of pentimenti, changes, by the artist to the composition (which the Moravian Gallery conservator Hedwig what the Moravian Gallery conservator Hedwig Böhm-Hajek asserted in the 1940s due to pentimenti). What is a work from 1638 doing in an early Rubens show? In this oil on paper piece, Ruben copied and slightly reworked his 1610-11 altarpiece for the Church of Saint Walburga, which was among his first major commissions in Antwerp. 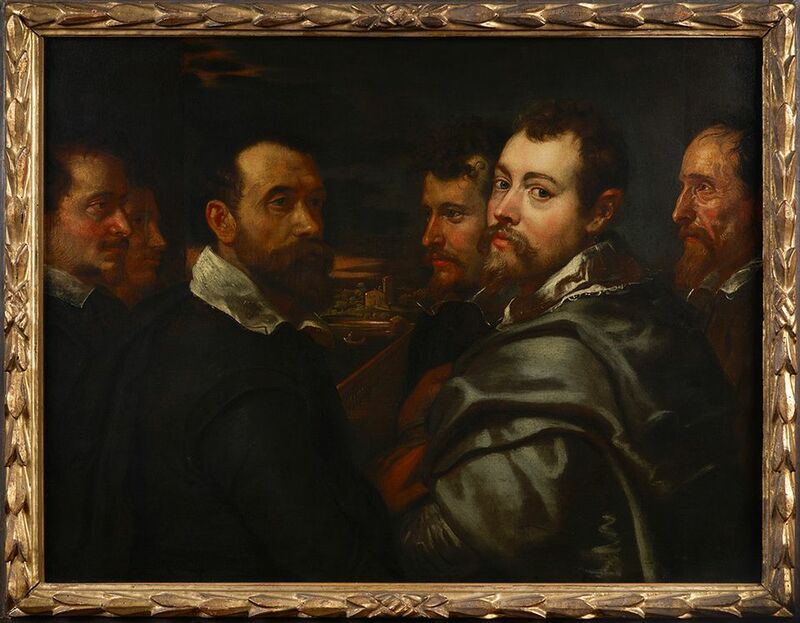 Suda says this piece attests to the importance Rubens placed on this early work. She also points to its interesting history at the AGO: the work was twice stolen from the museum in the 1950s. Nickel links the imagery of Christ being raised by ropes to the recent iconoclasm in Antwerp, when ropes would have been attached to statues to pull them down (perhaps conjuring images for today’s viewers of Saddam Hussein’s statue in Baghdad’s Firdos Square being toppled by a chain from a military vehicle in 2003).